Christian Bale rides a bike. 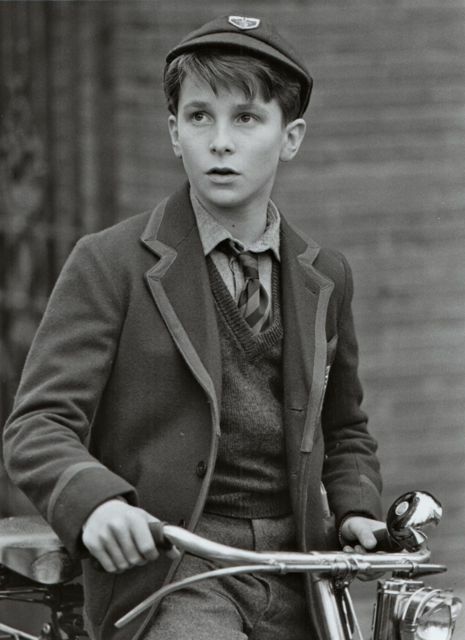 Christian Bale, all of 13, rides a rod-brake bike in the role of an upper-crusty British schoolboy in war-torn Shanghai, in Steven Spielberg’s 1987 adaptation of J. G. Ballard’s Empire of the Sun. Released by Warner Bros in 1987, it was Bale’s second feature film. He went on to some acclaim. Photo: Murray Close. Tagged With: 1987, Christian Bale, Empire of the Sun, http://ridesabike.com, Photo: Murray Close, Steven Spielberg, Warner Bros.